New York’s foremost advocate of planning and preservation in the first half of the 20th century, McAneny helped create the National Trust for Historic Preservation and preserve City Hall, the Battery, and Castle Clinton. As Manhattan Borough President, George McAneny helped secure funding from the philanthropist Olivia Slocum Sage for the restoration of New York’s historic City Hall, built in 1811.7 He also brokered a plan that prevented City Hall from being overshadowed by a massive new courthouse in City Hall Park. Due to McAneny’s efforts, the new building was eventually constructed several blocks north instead.8 In addition to protecting views of City Hall, McAneny’s plan inadvertently saved the now-landmarked Tweed Courthouse, which would have been demolished under the original proposal. In 1939, McAneny helped convince the Secretary of the Interior, Harold Ickes, to designate Federal Hall, an 1830s neoclassical building that stood on the site where George Washington had been inaugurated as president in 1789, as a national historic shrine. It was the first historic building in a major city to be so designated under the 1935 Historic Sites Act.16 On the sesquicentennial of the Washington inaugural, McAneny personally announced the designation from the steps of Federal Hall.17 He then became chairman of the Federal Hall Memorial Associates, a group that operated a historical museum in the building. In the late 1940s, McAneny spoke out against plans to demolish the historic Federal-style townhouses that lined Washington Square North.21 His activism foretold a shift in the overall focus of the preservation movement, which by the end of the 1950s would be deeply engaged in protecting the character of the city’s historic neighborhoods. Finding aid is available online here. Catalog record is online here. "The Reminisces of George McAneny," a series of interviews held by Professor Allen Nevins and Mr. Dean Albertson, January-February 1949. Under the auspices of the Oral History Research Office of Columbia University. Catalogue record is online here. “George M’Aneny, 83, Dead in Princeton: Zoning and Transit Expert Was City Controller, President of Manhattan Borough,” The New York Times, July 30, 1953. Peter Derrick, Tunneling to the Future: The Story of the Great Subway Expansion That Saved New York (New York: New York University Press, 2002), 119. Derrick, 113, 153; “City Club Asks Ahearn’s Removal,” The New York Times, July 26, 1907. Gregory Gilmartin, Shaping the City: New York and the Municipal Art Society (New York: Clarkson Potter, 1995), 181–202. “McAneny Heads Art Society,” New York Herald Tribune, November 30, 1927; “11th Annual Report” (Regional Plan Association, December 1940); David A. Johnson, Planning the Great Metropolis: The 1929 Regional Plan of New York and Its Environs (London: Routledge, 1996), 178. “McAneny Heads Scenic Society,” The New York Times, October 20, 1942; Alexander Hamilton, March 27, 1951, Box 127, George McAneny Papers, Princeton University. Gilmartin, Shaping the City, 334–35. “Conference To-Day on Court House Site,” The New York Times, October 13, 1911; “Court House Site Is Now Determined,” The New York Times, January 19, 1912; Randall Mason, The Once and Future New York: Historic Preservation and the Modern City (Minneapolis: University of Minnesota Press, 2009), 157–64. “Landmarks Doomed for New Avenue,” The New York Times, October 5, 1913. Mason, The Once and Future New York, 73–101. “Report of the Committee on St. John’s Chapel,” December 15, 1914, I.N. Phelps Stokes Papers, New-York Historical Society; I.N. Phelps Stokes to Joseph H. Hunt, March 17, 1915, I.N. 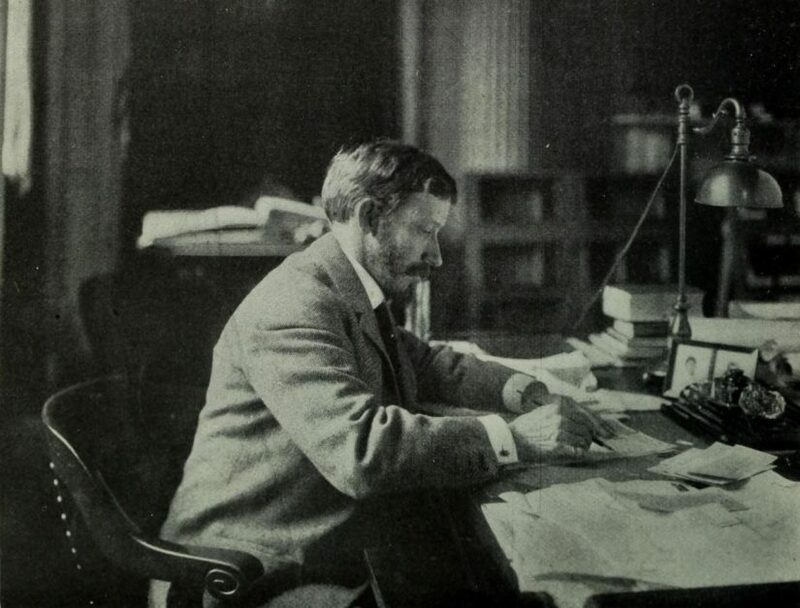 Phelps Stokes Papers, New-York Historical Society. Gilmartin, Shaping the City, 337–38; “Post Office for St. John’s Site,” The New York Times, October 8, 1920. Gilmartin, Shaping the City, 181–202. Edward Bassett to George McAneny, December 30, 1919, Box 54, George McAneny Papers, Princeton University. Gerald W. McFarland, Inside Greenwich Village: A New York City Neighborhood, 1898-1918 (Amherst: University of Massachusetts Press, 2001), 215. Charles Bridgham Hosmer, Preservation Comes of Age: From Williamsburg to the National Trust, 1926-1949, vol. 1 (Charlottesville: University Press of Virginia, 1981), 712–13. “Address of George McAneny at the Celebration of the One Hundred and Fiftieth Anniversary of the Establishment of the Government and the Inauguration of George Washington as President,” April 30, 1939, Box 2, Folder 9, Federal Hall Memorial Associates Administrative Records. Robert A Caro, The Power Broker: Robert Moses and the Fall of New York (New York: Knopf, 1974), 664–76. Charles Bridgham Hosmer, Preservation Comes of Age: From Williamsburg to the National Trust, 1926-1949, vol. 2 (Charlottesville: University Press of Virginia, 1981), 783–91; Anthony C. Wood, Preserving New York: Winning the Right to Protect a City’s Landmarks (New York: Routledge, 2008), 76–82. Hosmer, Preservation Comes of Age, 1981, 2:813–32. Wood, Preserving New York, 86–87. Gilmartin, Shaping the City, 379; “Ruth McAneny Loud, Civic Leader, Dies,” The New York Times, January 2, 1991.